Enter a Return Material Authorization process or RMA. What is a Return Material Authorization? A Return Material Authorization is used when an electronics manufacturer customer needs to return products that do not meet their specifications. If, when the electronics manufacturer receives the returned parts, it is determined that the error is the fault of the manufacturer, the parts will either be reworked so that they do meet the requirements or replaced with new parts. In some cases, a credit or refund may also be issued. Every electronics manufacturer may handle returns differently. 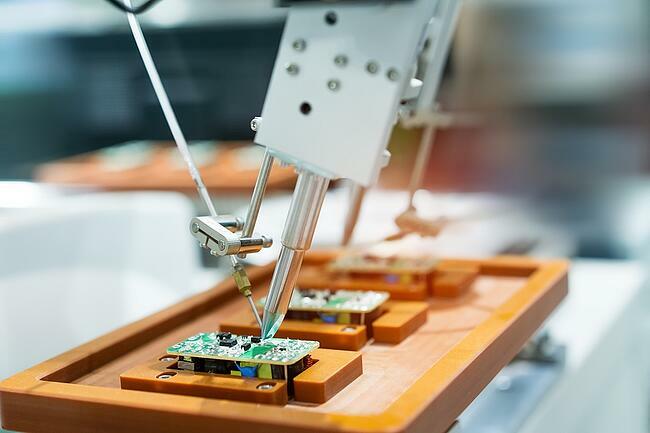 There are more specific details for electronics manufacturers that have quality standards in place, but for the most part, they all follow three basic steps: Initial Request, Approve/Deny, Resolution. Initial Request: You have worked with your electronics manufacturer for months and finally your parts arrive. Your team sets off to install your new parts and discovers that a hole is off by just enough that the parts will not come together and operate correctly in your machine. What do you do? First, you’ll contact the electronics manufacturer who designed and manufactured your parts. You’ll let them know that the parts do not meet the specifications you requested and that you would like to request a Return Material Authorization (RMA). In most cases, the electronics manufacturer will request some kind of proof that the parts do not meet the specifications. You might provide this proof through photos, video, documentation or other communication. This is the first step in the return material authorization process because if the proof does not show that the electronics manufacturer was actually at fault for the error in your parts, you will not be granted a Return Material Authorization. What if the part is not being installed correctly and would fit if it was installed according to the specifications? Or, what if the specifications were wrong and the electronics manufacturer built exactly to the (wrong) specifications? In either of these cases, the Return Material Authorization would not be granted. Why? Because the error was not theirs and is, therefore, not subject to receive a Return Material Authorization. In the case of the mistake being the electronics manufacturer’s, they will then issue a Return Material Authorization number to the customer. Then, the customer ships the parts with errors back to the manufacturer with the Return Material Authorization number clearly labeled on the outside of the packaging and any documentation included inside. Including these details helps the electronics manufacturer to quickly know which parts they are looking at and that they are authorized for return. It’s possible that a part could appear to have manufacturer errors but upon arriving back with the manufacturer, it becomes evident that the issue is the customer’s. Using an example from above, if a part was installed incorrectly and consequently the part was damaged, the electronics manufacturer will not accept that part as eligible for return. If the part was accepted by the customer and was being installed, the damage done during installation is unlikely to grounds for a replacement, repair, or refund on the part of the manufacturer. Once the parts have been inspected by the electronics manufacturer’s quality or inspection team, the parts move into a resolution stage. Depending on how bad the original error, the parts may be repair or reworked. If they are beyond repair, they may be remanufactured and replaced or, a refund may be issued to the customer. 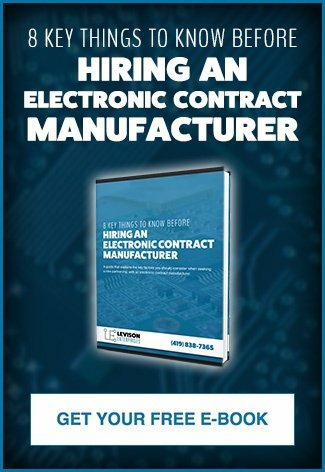 Ideally, an electronics manufacturer will want to do what they can to repair a product as the most economical option. After repair, the parts will be issued a “non-conforming material report” that will detail out the errors and the actions taken to correct it in order to bring the parts into compliance with their original specifications. Once they are repaired, the parts will again go through a testing and inspection phase to ensure all components – new and old – are functioning and matching desired specifications. It’s also possible that a part will cost more to repair than to just replace, which is also an option. In some cases, scrapping the materials and starting over ends up being less expensive than fixing the original parts. If neither repair or replacement will work, there are instances where a refund or credit is issued instead. The most important part of resolving any return is ensuring that the customer has a solution to their parts problem and is ultimately happy with the quality of the product. At Levison Enterprises, one of our most important values is in our quality standards. We demand high quality of ourselves because we believe it’s what our customers deserve. We are ISO 9001, AS9100, NIST, IPC and J Standard certified, among other quality certifications. We honor these strict guidelines in all our processes, including the rare occasion when a customer needs to return a product. We are committed to resolving all issues in a quick and respectful manner and we learn from these instances to ensure that they do not repeat in the future. It is, of course, our goal that no customer ever has to return a project to Levison Enterprises. But, not every issue can be prevented, and mistakes happen. When they occur, we make it our duty to correct these issues as quickly as possible because we know how important time and quality are to all our customers. Contact Levison Enterprises if quality from design to returns is the type of electronics manufacturing you need.